SE Healthcare Data Analytics and Solutions > CHRISTOPHER RUMPF, M.D. 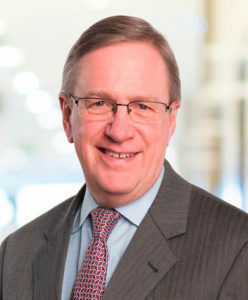 Dr. Christopher Rumpf serves as the Chief Clinical Officer for SE Healthcare, bringing 35 years of clinical leadership in the areas of quality, safety, and reimbursement to the team. He focuses primarily on the Hospital and physician group market segments. Within his dual role at the company, Dr. Rumpf will be instrumental in helping SE’s clients take advantage of the overlap of risk management and reimbursement strategies. During his career, Dr. Rumpf has held numerous leadership roles, including Chief Medical Officer and Senior VP of Quality and Reimbursement. He also served as President of a large physician group.